Goodreads Summary– Camellia Beauregard is a Belle. In the opulent world of Orléans, Belles are revered, for they control Beauty, and Beauty is a commodity coveted above all else. In Orléans, the people are born gray, they are born damned, and only with the help of a Belle and her talents can they transform and be made beautiful. Writing– The writing is pretty descriptive and I was able to picture the world and all of the characters. Her writing is also very readable and the story was fast-paced. Setting– The world was probably my favourite thing about The Belles. I think the idea of a world without beauty is interesting and I enjoyed that there is a hierarchy. Characters– Unfortunately, I was not a fan of Camellia. She felt a little cliché and did not have a lot of depth. There were moments where I felt she was just plain annoying. The side characters were okay but we did not learn a lot about them. We also know very little of the villain’s motives. Romance– I am indifferent toward the romance because there just was not a lot of development between the two characters. I think there is potential for it to be swoon-worthy so maybe there will more of that in the second book. Magic– I really liked the magic! I think it is fascinating that only The Belles possess magic and it was interesting to see Camellia slowly discover just how much power she has. I also found it intriguing that even though The Belles have all this power, they are not the ones in control and are forced in to roles assign to them by people without magic. Goodreads Summary– Twelve-year-old Jonas lives in a seemingly ideal world. Not until he is given his life assignment as the Receiver does he begin to understand the dark secrets behind this fragile community. Writing– The writing was simplistic but I thought it was effective. This is a book that I wish I had read when I was younger because I think I would have connected to it more back then. It is very readable and I would gift it to any and all of the children and young teens in my life. Setting– This is supposed to be an ideal world but there is no changes in weather, no colour, and everyone is assigned their jobs, their partners, and even their children. While I found the idea behind the world extremely interesting, I wish we had a little more insight in to how and why it ended up that way. Characters– The characters were okay, they just were not memorable. I really did enjoy reading from Jonas perspective and seeing how his world is completely flipped upside down when he receives memories of the colour red and of snow. Moral of the story– I thought that the overall message of the story was a great reminder that everyone is different and that is what makes life so amazing. It is important that we experience the good along with the bad, so that we appreciate when things are going well for us. Long Way Down is a very short book and I think it is best to go in to it without knowing too much about it. It takes place over the course of one elevator ride, is written in verse, and is a very quick read so it makes it difficult to review! It is one of the few books written in verse that truly worked for me and I thought telling the story that way made it that much more powerful. I think that it is best to really take your time with this book and not to just rush through it. I really appreciated the fact that the book does not come across as preachy and simply shines a light on the cycle of violence. The ending is open-ended and I think it is a great way to start important discussions. Overall, I thought The Belles was just okay and I am not sure if I will continue on with the series. 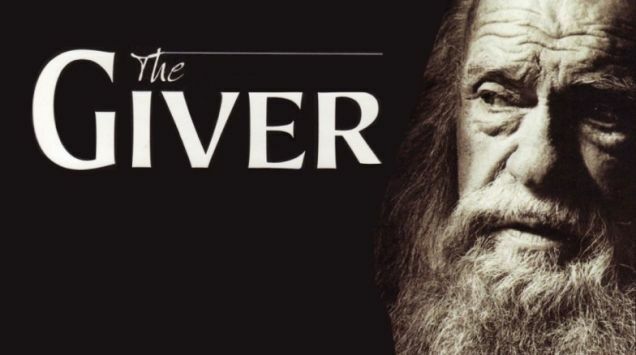 The Giver was really interesting and I am so happy that I finally read it, but once again, I do not think I will read the rest of the books in the series. Long Way Down was fantastic and I know want to read all of Jason Reynolds’ novels! I highly recommend Long Way Down. I am still thinking about it! Thank you! So many new books to check out. Lovely reviews! I had similar thoughts about The Belles, and am also unsure if I will continue the story. I think I am going to wait and see what other people have to say about it and then decide! My exact thoughts on the Belles and Jason Reynolds! I’m really glad you enjoyed Long Way Down! It definitely sounds like a book I’ll be interested in! I really think it is a book you’ll love! hmm belles sounds like a bit of a mixed bag- good that the world building was so well done though! I get what you mean about wanting more insight on how giver ended up that way. Great reviews! I was expecting to enjoy The Belles more than I did! I did really love The Giver but I had so many questions! I’m glad to see you enjoyed The Giver- I did, too! I agree that the characters don’t have much depth, though, besides Jonah. I guess that was because of how naive and shallow everyone in his town is (like his parents, etc.)? Anyway, great reviews! It definitely makes sense that everything is surface level because really that’s how the whole town is. Thank you! Very nice reviews. I am planning to check out Long Way Down soon. I’ve been wanting to read The Belles. I like books with setting descriptive as it can be. Ahh. But then the character. This is why I am back and forth deciding whether to read or not to read. Haha I guess one day I’ll just have to dive in. It is a quick ready so if you could find a copy for a good price or at the library than I think it is worth reading! A Wrinkle in Time is another book I wish I read when I was younger! !